Man Utd midfielder Nemanja Matic has reportedly handed Ole Gunnar Solskjaer an injury concern after being ruled out of action over the international break. The 30-year-old has been a key figure for the Red Devils so far this season, making 34 appearances in all competitions and has played a vital role in their resurgence under Solskjaer since December. However, he did recently return from a muscle injury to feature against Arsenal as well as in the FA Cup defeat to Wolves at the weekend, although he was replaced in the 86th minute last time out. It appears as though the midfield stalwart may well have sustained an issue at Molineux, as he has been ruled out of facing either Germany or Portugal over the international break. “Nemanja Matic will not play in Wolfsburg, nor in Lisbon. He played the last match for his club but did not stay on the field until the end,” Serbia coach Mladen Krstajic told the media, as per the Serbian FA’s site. That in turn would suggest that the injury is still a problem for Matic, with Man Utd perhaps slightly relieved that he won’t play over the next week or so which will avoid the risk of aggravating the problem further and potentially sidelining him for longer. Nevertheless, it remains to be seen if it is a serious enough problem that rules Matic out of action beyond the break, with United facing Watford at Old Trafford on March 30. 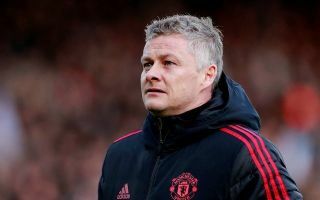 As noted by the Manchester Evening News, it’s far from ideal for Solskjaer as he has already seen Luke Shaw and Anthony Martial withdraw from duty due to injury problems. With such a crucial period of the season coming up as they continue to battle for Champions League qualification for next year, the last thing that they needed was further injury headaches which will now test their depth and determination moving forward.